Dorner’s Part Auditing Program will help you identify and easily purchase recommended spare parts in order to minimize downtime and costs. Contact your distributor to set-up a visit with a member of the Dorner Service Team. A Dorner Service Team member will conduct a free site survey of all your Dorner equipment. They’ll determine the recommended spare parts as well as any potential maintenance concerns. You’ll receive a quote for the recommended spare parts from your distributor. Any maintenance concerns and suggestions will also be noted. A recommended parts list you can use for future reference and details of any pending maintenance issues that would need attention. If you purchase the recommended spares you will be able to quickly replace worn items, decreasing downtime and maximizing productivity. 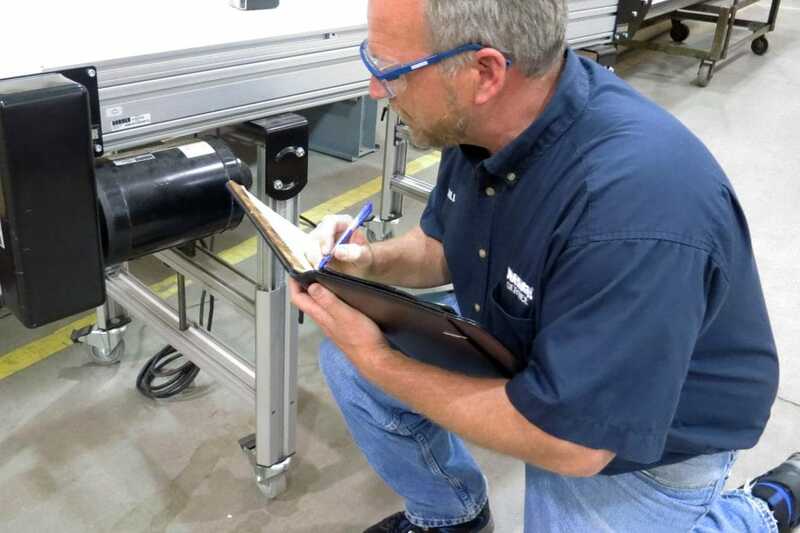 Any parts orders of $8,000 or more resulting from the Parts Audit visit will qualify you for a free preventative maintenance training at a future date!